Collaborations are another way to build your audience. You can try different collabs to diversify your regular content and reach new viewers. Collaborations can be a powerful way to extend the reach of your channel. A good collab can bring you new viewers—and potentially turn them into subscribers. Collabs also allow you to exercise your creative muscle, helping to sustain your channel over the long term. If you’re new to collabs, or haven’t done one in a while, check out these strategies for choosing collaborators, communicating with them, and cross-promoting your videos. To get the most out of your collabs, consider how to prepare your channel so that it best represents you and your content. Your goals will help guide your next steps and set you up to create amazing collabs that support your larger channel direction. Many creators start by experimenting with collabs in their current category, then branch out when they’re ready. Although you may be focused on metrics that support your own channel’s growth, remember the expectations of your collaborator. It’s usually a good idea to discuss ideas for cross-promotion early on. You may even decide to launch your collab as a Premiere, so that you and the other creator can experience your video in real-time with your audience. Develop an identity with channel branding. Collabs allow you to play outside your comfort zone. Consider creating content for a different global region or content category. Where do most of my viewers come from today? Your YouTube Analytics Demographics data includes a geographic breakdown of your audience. If you see a new country in “top locations,” consider how a collab might help you appeal to fans there. You can look for a compatible creator who has a strong fan base in that location. Which locations generate the most watch time? Your YouTube Analytics Watch time card includes data on impressions, views, and watch time. You can filter by region or country to see the amount of time viewers have watched a video from a selected locale. If your content is watched by many non-subscribers in that locale, consider how a collab can encourage them to subscribe. What makes my channel unique? There are many channels on YouTube, yet fans are drawn to yours because you probably offer something they can’t get elsewhere. Think about why viewers watch your videos and what distinct qualities you can bring to a collab beyond your current category. What other categories are interesting? Many creators build a community around a niche. While you want to keep your core audience in mind, you can think about complementary categories. You might discover through a collab that your content also resonates with viewers outside your original category. 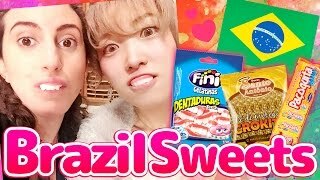 Brazilian Creator Julia and Japanese creator Kumamiki tried each other's traditional candies in a collab. The video generated high watch time in both countries. 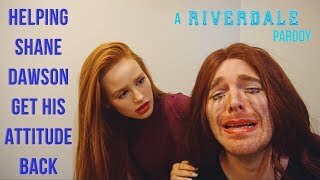 Lifestyle actress Madelaine Petsch invited comedy vlogger Shane Dawson for a parody of TV series Riverdale. The channel gained new subs after it was published. 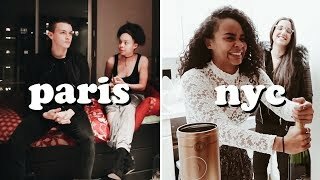 While traveling separately, Damon and Jo compared what New Year's Eve looks like in Paris versus New York City. Videos were shot separately and edited into a single video. Collabs allow you to refine your content strategy by testing how your audience will respond to new content formats or categories. Which video formats drive engagement? Your YouTube Analytics Audience retention data provides an overall measure of how well your video keeps its audience. Try comparing different formats, and look at how many people abandon your video over its duration. For videos with high audience retention, try to identify a common thread that can be used in another format as a collab. What does my audience want to see? At the end of a video, ask your viewers a quick question on video ideas and encourage them to reply in the comments. You can also use a poll card to tally up responses, or try launching a poll in the Community tab. You can let your fans know that you want to spread your wings, and look at their feedback on what they would love to see. How can your content deliver value? While many videos are intended to entertain, creators also have found success with making videos that enrich or inspire their audience. Can you help your viewers acquire new skills or knowledge? Consider producing “how-to” collab videos, then look at comments for feedback. Also, creators have come together to use the platform to share positive moments—contributing to social impact. 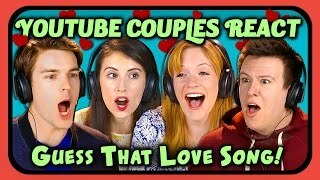 FBE's React series invited several YouTube couples for a guessing challenge. In this video, creators took the challenge with love songs. 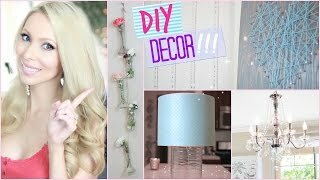 DIY room decor + decorating ideas! VasseurBeauty does her first-ever collab , showing how she redecorated her apartment for the new year, with help from MissLizHeart. 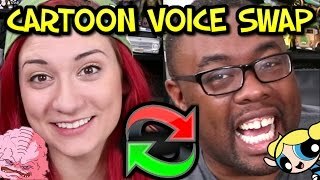 Black Nerd Comedy and Brizzy Voices team up to do cartoon voices again—this time with a twist. After you've published a new type of collab video, review the results of your effort. Keep in mind it may take a couple of days for all your metrics to update in YouTube Analytics. Demographics. When targeting another region, this data can show you the reach of your video to viewers in that locale. To improve accessibility of your content, consider using translation tools so that viewers of your collab from other countries can follow along. Traffic sources. Try starting with “Suggested videos” to check traffic from suggestions that appear next to or after other videos and from links in video descriptions. Also, look at “Channel pages” for a list of channels that are generating traffic to yours. Subscribers. To understand the impact of specific collabs, check the Subs data to find out which videos drove subscriptions or caused people to unsubscribe. It’s normal to see fluctuations in your subscriber count, but if you see a big change, you can dig deeper. To keep up the momentum, try planning ahead. Look at what worked well from a successful collab, then consider if it makes sense to do more. You can even drop in collabs on seasonal topics, such as holidays or major events, to capitalize on heightened audience interest. Promote an upcoming collab on your Community tab. Add links in cards or end screens to guide viewers. Include the collaborator’s channel in your video description. Mention your collab on your other social media.